A. There are many reasons I am a therapist. My current reason is that I have come to learn that a tremendous amount of people are in pain. We all have feelings so dark and scary sometimes that we don’t know where to turn. We all need someone to listen to us; someone to teach us that we have value. We all need skills to help change our sadness and self-doubt to joy and acceptance. I am a therapist because when I see people struggle in that way, I want to reach out and help. I can hold a space for, and help people move through, intense, scary emotions. I can guide. I can teach. Being a therapist is my life’s work. A. I help clients who feel stuck build the lives they love. I have a passion for working with college students, anxious and lost Millennials, healthcare professionals, businessmen and women, and individuals struggling with eating disorders. I care deeply for and invest in my clients. My approach is direct, energetic, and participatory. I believe there's no way to create a single plan that works for every client. That's why I personalize my treatment services to meet each unique client's needs. My clients receive feedback, skills, homework, and techniques in every session. Sometimes, I give out books or ask clients to download helpful mental health apps. I'm also a show me the data kind of girl and I like to measure things. Therefore, I only use methods that have been proven to work. I use numerous evidence-based treatment approaches with my clients like cognitive behavioral therapy, dialectical behavioral therapy, and motivational interviewing. I’m also a trained yoga teacher and a yogi at heart. My practice is infused with wellness and mindfulness elements. A. When you’re with someone, and they’re sharing their deepest pain, you’re in that personal space with them, and it can be hard not to take it home. It’s especially difficult the first year to figure out how to become emotionally present and connected with clients without taking on their emotions and problems as your own. The first client who tore me apart was an amazing teenage girl whose father committed suicide and been removed from her home due to her mother’s substance use issues. Working with her, watching her develop, and the trust she had in me made me realize the weight of what I was doing. If you don’t engage in self-care and find healthy ways to cope, it can all build up and start to really affect you. I learned that the hard way. I try to keep a healthy work-life balance, but it’s challenging because I care about my clients and I invest in their struggles. I also have an energetic personality and can easily take on too much. I’m continuously working on my work-life balance and implementing self-care. A. The most rewarding part of my work is having the most amazing clients! They are my people. I am in awe of their strength and resilience every single day. Also, holding a space for people to feel understood. Knowing and accepting them in a way maybe no one else in their life does. It’s a privilege every day to be a step along my client’s journey. The best thing to me is when a client starts to see themselves in a much more positive light. They begin to learn compassion and respect for themselves. They start to embody that they are truly as awesome as I’ve been telling them. Q. What are Your Plans for the next 5 Years? A. I plan to continue to serve my clients by working to become an expert in the specialties groups I serve. 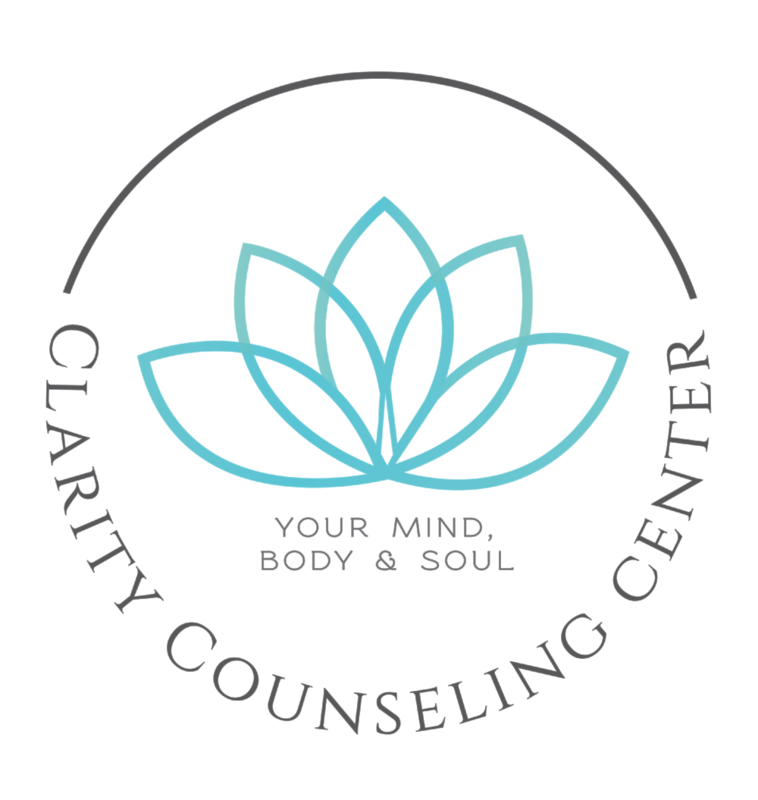 Carrie and I also plan to expand clarity counseling center and start a private practice consulting business to help other therapists and counselors start, grow, or level up their private practice. A. PSA: Don’t give up. Help is it out there. Therapy can work for you, yes you. Even if you believe counseling can work for eeeeveryone else but you. Maybe you believe you are beyond help. The good news is, you're wrong. That’s the self-doubt taking, the depression, the anxiety, etc.... If you’ve had a negative therapy experience, know that not all theraists are the same. There is help out there. Your person is out there. Pretty please don’t give up. You are an amazing human. Hang on and keep trying. And give us a call, we can help you find a theraputic relationship that's a better fit. A. I think the most important qualities in a therapist are competency and compatibility. For example, if the relationship were different, would you be able to chat over a cup of coffee or a glass of wine? Some of the best therapeutic work I have observed embodies the quality of ‘likeability' not to be confused with sameness. It's also essential your therapist be competent. Competency, in that, they must be trained in the issues in which you struggle. Look for the best choice for your issues, an expert. For example: If an individual is struggling with anorexia and looking for a therapist who specializes in treating eating disorders it's a good idea to have a conversation about the types of training, education, experience, and supervision your practitioner has had in that specialty area. Equally as important, the number of clients treated by this practitioner and duration of time your practitioner has been working in their specialty area. A few questions you may ask your potential therapist: How many years have you been treating individuals diagnosed with eating disorders? How many clients diagnosed with eating disorders do you treat per year? 2 or 100, makes a big difference. Q. What's the most valuable thing you've learned in your career? A. That we are all so incredibly alike. We go through very similar struggles, pain, and suffering; We’re more alike than we are different.